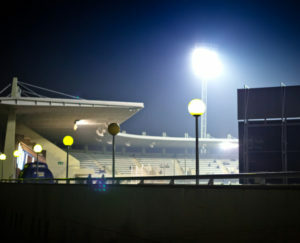 Likewise, the Municipal Football Stadium L’Hospitalet has become one of the main opportunities to rent spaces for events in L’Hospitalet and Barcelona, and is suitable for the celebration of any team-building activity, product presentation or shooting. Its multiple interior and exterior spaces offer a different option for those acts that seek originality and spaciousness. Versatile spaces that can serve as a complement to the events held in the track area or spaces that provide their own identity as venue for events and events.